Experience extreme impact and scratch protection with the ZAGG Glass+ Screen Protector. 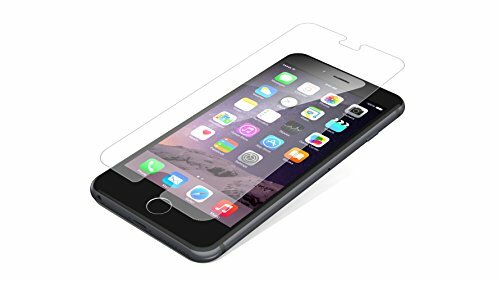 Now optimized for the iPhone 7, iPhone 6s, and iPhone 6, the Glass+ is part of our renowned InvisibleShield line of screen protectors. Chemically strengthened at the molecular level, Glass+ features a proprietary Ion Matrix impact protection construction to protect your screen from drops, dings, and scratches. Nothing withstands the rigors of day-to-day life like a ZAGG.ZAGG offers the toughest glass screen protection, period. 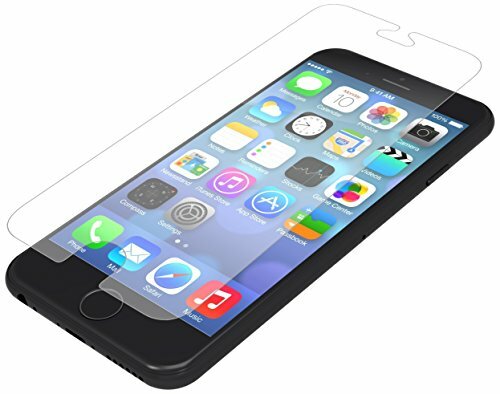 Glass+ features Ion Matrix technology, offering up to 3 times more shatter protection than an unprotected screen. The super-strong reinforced edges give you true edge-to-edge protection, while the smooth glass and sleek beveling provide an unparalleled user experience.Everyone wants to protect their screens without losing touch sensitivity. Glass+ provides a premium surface-finishing process that delivers a smooth screen that defends every pixel without getting in the way. Additionally, the oil-resistant treatment prevents smudges and fingerprints to help keep your screen pristine. 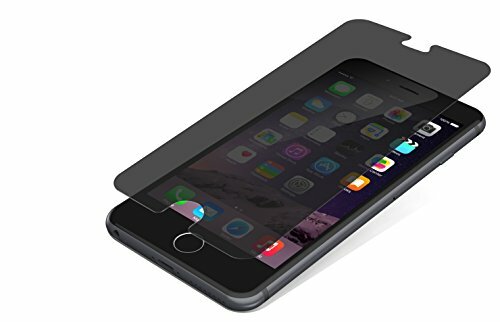 Experience extreme impact and scratch protection with the ZAGG Glass+ Screen Protector. 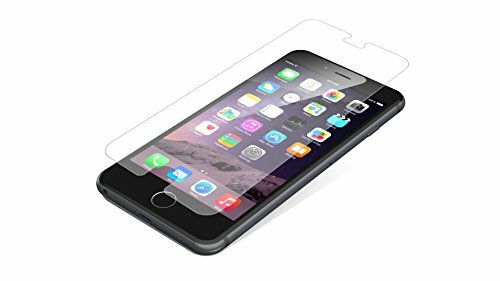 Now optimized for the iPhone 7 Plus, iPhone 6s Plus, and iPhone 6 Plus, the Glass+ is part of our renowned InvisibleShield line of screen protectors. Chemically strengthened at the molecular level, Glass+ features a proprietary Ion Matrix impact protection construction to protect your screen from drops, dings, and scratches. Nothing withstands the rigors of day-to-day life like a ZAGG.ZAGG offers the toughest glass screen protection, period. Glass+ features Ion Matrix technology, offering up to 3 times more shatter protection than an unprotected screen. The super-strong reinforced edges give you true edge-to-edge protection, while the smooth glass and sleek beveling provide an unparalleled user experience.Everyone wants to protect their screens without losing touch sensitivity. Glass+ provides a premium surface-finishing process that delivers a smooth screen that defends every pixel without getting in the way. 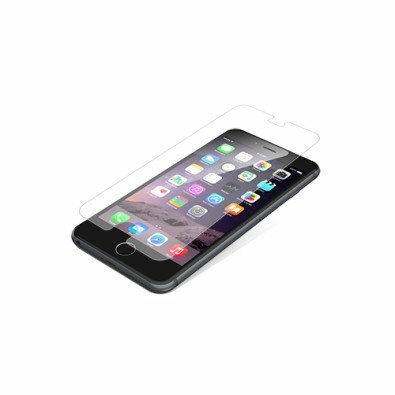 Additionally, the oil-resistant treatment prevents smudges and fingerprints to help keep your screen pristine. 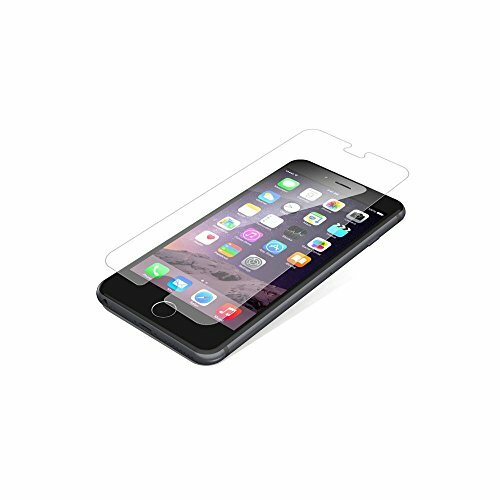 Zagg HD Glass Screen Protector for your Apple iPhone 6 Plus (5.5"). 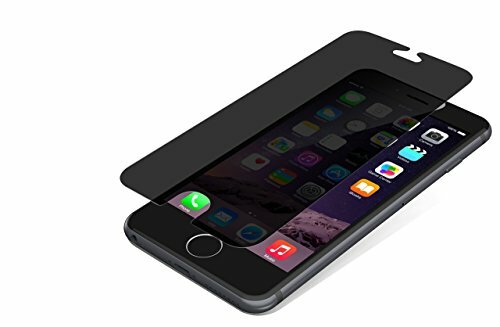 Keep your Apple iPhone 6 PLUS in pristine shape with this ZAGG InvisibleShield HD Glass IP6HGC-F00 screen protector, which features an oleophobic coating to help keep your display clean. 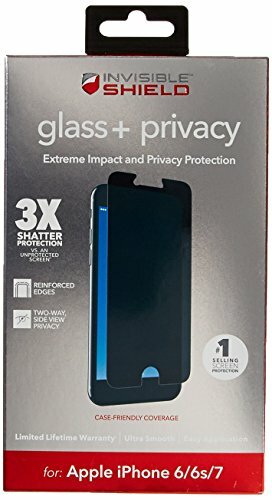 ZAGG InvisibleShield HD Glass protects with durable, high-grade tempered HD glass that provides a smooth, precision touch sensitivity and a crystal clear image. The scratch-resistant HD glass blocks UV light to help protect your eyes because includes Blue Light Eye Guard that helps block blue UV light, which can be harmful to eyes, and when viewed in the hours before bed, can interfere with sleep. The Blue Light Eye Guard maintains HD clarity and preserves a crisp, natural look. The InvisibleShield HDX is the perfect combination of clarity and protection. In addition to its Military Grade and Nano-Memory Technology benefits, it features a powerful shock absorption layer that provides your screen 3Xs more shatter protection, so your device is in good hands even if it falls out of your hands. And with superior HD clarity that preserves the vibrant colors of your display, you’ll get the most from your devices throughout their lives. 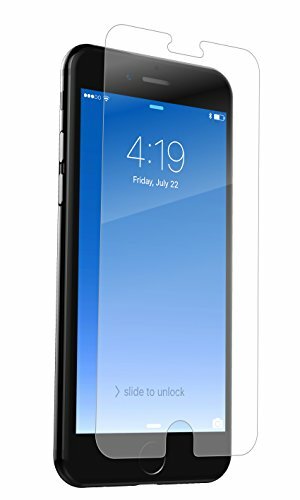 Compare prices on Zagg Glass Iphone 6 at ShoppinGent.com – use promo codes and coupons for best offers and deals. Start smart buying with ShoppinGent.com right now and choose your golden price on every purchase.